Wondering what to drink on the keto diet? You’re in luck! 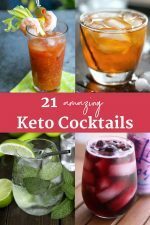 Here you’ll find a list of low-carb drink options to enjoy on the ketogenic diet. 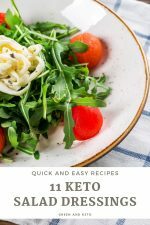 Plus, learn how to make low-carb fruit-infused water, keto-friendly coffee drinks, and keto cocktails. It’s really important to drink water, especially on the keto diet. But let’s face it, sometimes drinking straight tap water it can be plain boring. To help, I’ve put together a list of tasty beverages that you can enjoy on the keto diet. Drinking more water is one of the easiest ways to feel more energized. If your plain old water could use a little oomph, try making keto-friendly fruit-infused water. 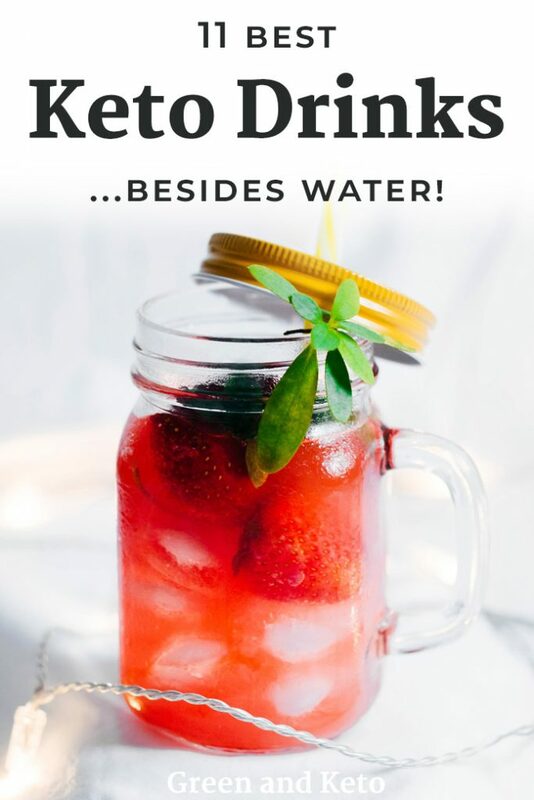 Fruit-infused waters are a great alternative to plain water because they taste amazing and they’re made with healthy ingredients like berries, vegetables, and herbs. The simplest way to make fruit-infused waters is to add all of the ingredients to a large infuser pitcher, and let it steep in the refrigerator for a few hours — or even overnight. The longer it sits, the more flavorful the water will be. To take fruit-infused water on the go, you can try one of these water infuser bottles. That way, you’ll always have a delicious keto drink with you when you are at work or school. Here are some of my favorite keto-friendly flavor combinations for fruit-infused water. Strawberry Cucumber: Add a sliced strawberry and a few slices of cucumber to water. Blackberry Basil: Add a few blackberries and a sprig of fresh basil to water. You can even muddle the berries and basil for more flavor. 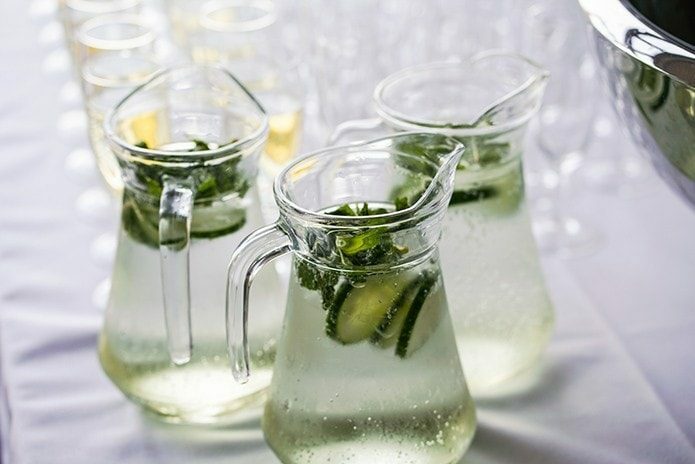 Lemon Mint: Add a few slices of lemon and a sprig of fresh mint to water. Lime Ginger: Sort of like a Moscow Mule, without the alcohol. Add a lime wedge and a slice of fresh, peeled ginger to water. Grapefruit Rosemary: Add a slice of grapefruit and a small sprig of fresh rosemary to water. Rosemary can be a strong flavor, so start with a small amount. 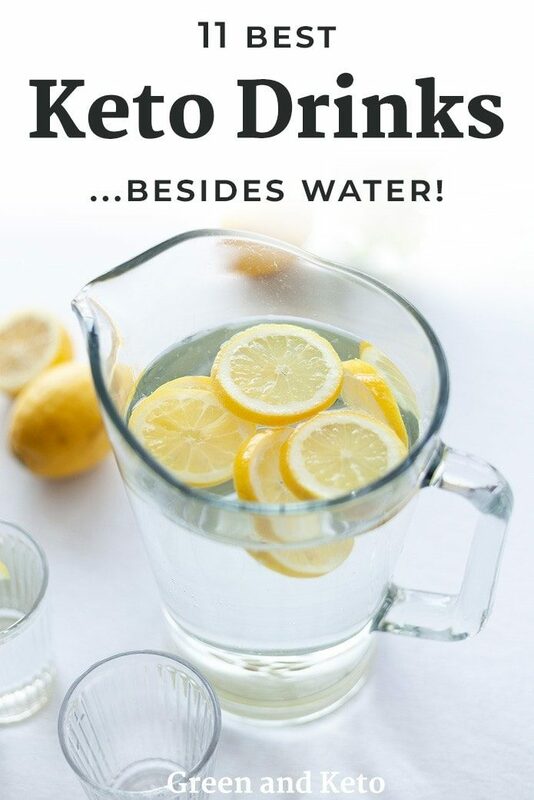 Another way to flavor your water is to add keto-friendly water enhancers and drink mixes. You can find water enhancers that come as liquid drops or as powdered mixes. Look for water enhancers and drink mixes that contain zero calories and sugar. Mio drops: A lot of different flavors to choose from. Also comes in an Energy variety with added caffeine. Skinny Girl: Naturally sweetened, and comes in flavors like Blueberry Acai and Pineapple Coconut. Sweetleaf Stevia drops: Sweetened with stevia. True Lemon powder sachets: Real crystallized lemon, without added sweeteners. Crystal Light: Easy to find in your local grocery store. Stur: Sweetened with stevia and flavored with real fruit extracts. Propel powdered mix: Also provides some electrolytes and vitamins. Some water enhancers are sweetened with stevia, and some contain artificial sweeteners like sucralose and acesulfame potassium. 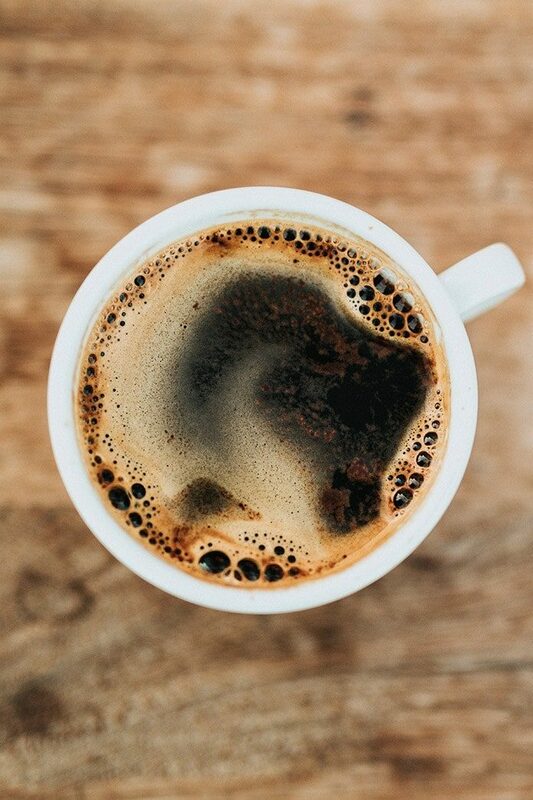 Black coffee and unsweetened tea are great beverage choices on the keto diet. On their own, coffee and tea contain zero sugar and only 2 calories per cup. Coffee and tea only become a problem when you add too much milk and sugar. For example, just 1 tablespoon of sugar contains 15 grams of carbohydrates. Use a sugar-free sweetener, like Swerve, to sweeten your coffee. Add flavored sugar-free syrups, like Torani Vanilla, or Brown Sugar Cinnamon. Add spices, like cinnamon or nutmeg. If you like Starbucks, make sure to check out my comprehensive Guide to Keto Drinks at Starbucks. Here are the carb counts for keto-friendly milk alternatives, per 1 cup serving. As with any nutritional information, double check the carb counts on the particular brand that you choose. Heavy cream: 1.5g of net carbs in a 2 oz. serving. If I’m using heavy cream as a milk substitute, I usually use a 1-2oz serving and add water for the rest of the liquid. A keto smoothie is a great keto drink when you want a quick breakfast, or you need to eat on-the-go. 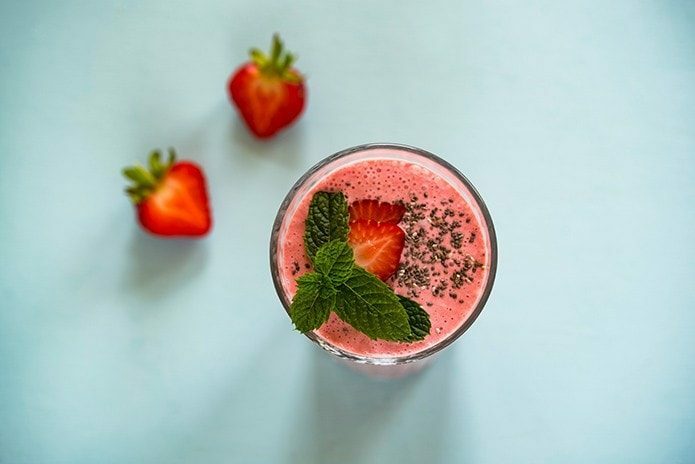 To make keto smoothies that are low in carbohydrates, follow these general guidelines. Choose low-sugar fruit like berries, and add nutrient-rich greens like spinach. For liquids, avoid fruit juices in favor of plain water, unsweetened almond milk, or coconut milk. Add healthy fats, like full-fat coconut milk, heavy cream, or coconut oil. And as a final tip, use a high-powered blender to make your smoothies as smooth and creamy as possible. 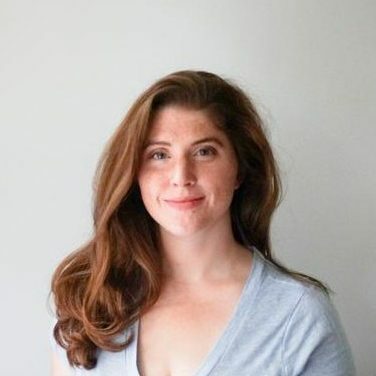 It’s okay to drink alcohol in moderation on the keto diet. 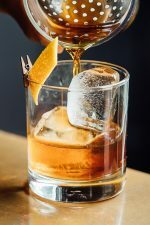 The trick is knowing what types of alcoholic drinks are keto-compliant, and what types of drinks to avoid. A shot of liquor contains zero net carbs — but watch out for sugary mixers and sodas. Wine is low-carb — but watch out for sweet dessert wines that have a lot of sugar. Some ultra-light beers are okay — but most beers have too many carbs for the keto diet.